Clinique''s Happy For Men Cologne Spray is an ultra-refreshing and light fragrance, ideal for day or night wear! This energising crisp cologne spray is gives a cool, clean hit of Citrus. 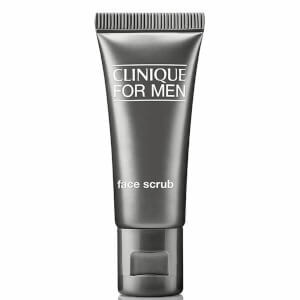 Please Note: We are currently launching new packaging on Clinique for Men, therefore product packaging and description may differ. However please be assured the product remains the same. I've been wearing Happy for years now, and it is my everyday cologne. It's light with citrus notes, yet not overpowering. I hardly notice that I have it on, yet every time I wear it, the ladies seem to notice and ask what I'm wearing. It always seems to be a real hit with them and brings the kind of attention you desire. Happy For Men Cologne Spray 50ml is a modern, clean scent, which keeps its perfume all day. Love it and so does my husband. This was my first order with Mankind and had no problems what so ever. Easy to use website, ordering was easy and delivery was good also. Order in confidence and get a cracking deal! As a fan of the women's perfume, "Happy" I can confirm that the Happy For Men Cologne Spray 50ml is just as special. It's a nice summer scent, wears and lasts well. My partner loved this fragrance, it's now his favourite, has a nice sweet aroma, i love it to, will buy again. Clinique Happy for men must be one of the best summer fragrances for men. It has a distinctive light fresh smell. Very subtle citrus notes and the smell isn't overpowering in any way. It also has an aquatic fragrance. If you just want a clean , just stepped out of the shower feeling, this is perfect. It doesn't have the musky perfume of more traditional Eau de Colognes. It really is the scent of summer. It can be worn day and night. Perhaps my only criticism is that it doesn't last too long and may need reapplying. That said, I have had many compliments and it smells great.